New day, different message. 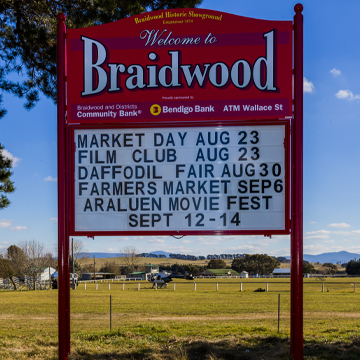 Changeable signs are a practical way to communicate year-round with your community. 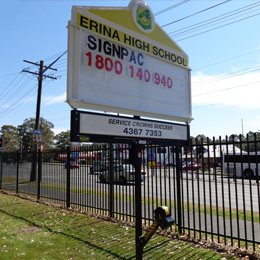 This single pole mounted double-sided sign has an “easy enough for anyone to use” winch operated wind up and down system for changing your message. 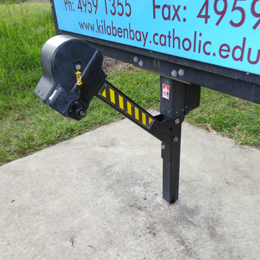 The sign has an inbuilt safety locking device. 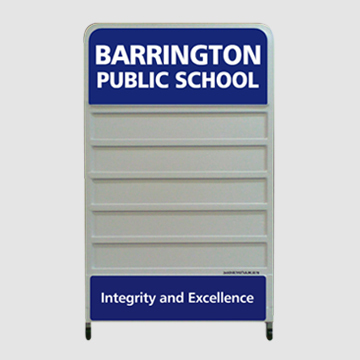 This sign features four lines of changeable text area per side with an anti-vandal polycarbonate cover on each side. 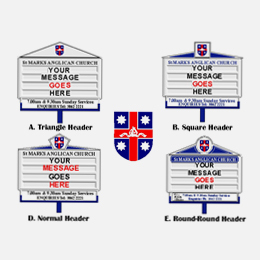 Also includes your school or business name on your choice of shaped header design top section. 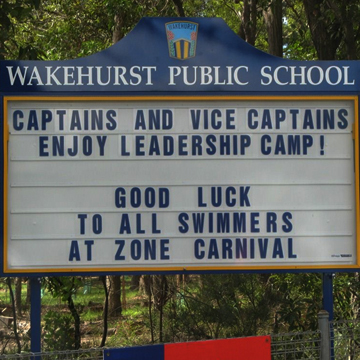 A sponsor panel or info board is included. 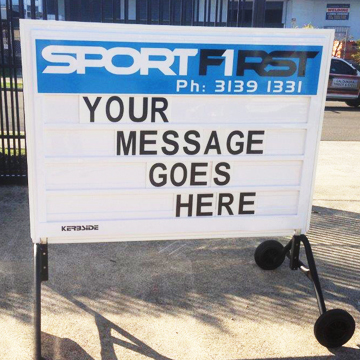 The sign is transported in parts and can easily be installed in a couple of hours. A 300-piece letter kit is included. Price includes anti-vandal letter guards on both sides. 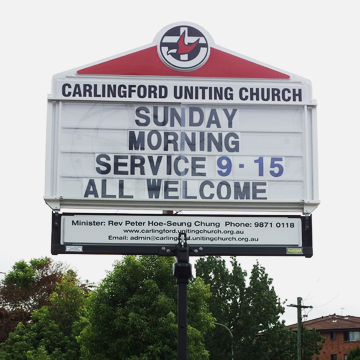 Vinyl lettering on header board and information panel included. Winch operated for ease of lowering to change lettering. (Winch can only be operated with removable handle). Easy enough for anyone to operate. Staggered safety system to prevent header board slipping from the top to the bottom. Transported in two parts, header and pole. Easy application – can be installed in a couple of hours.